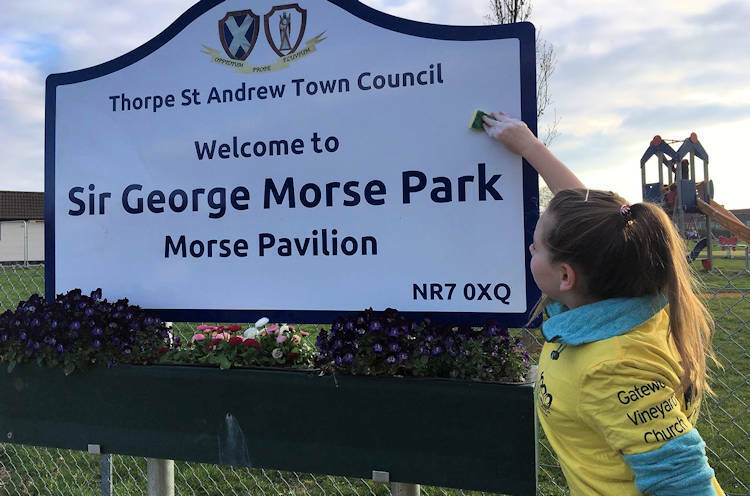 Thorpe St Andrew youngster Emily Deal has been on a campaign to help clean up the town as part of a Norwich church’s 1000 Hours of kindness campaign over Lent. 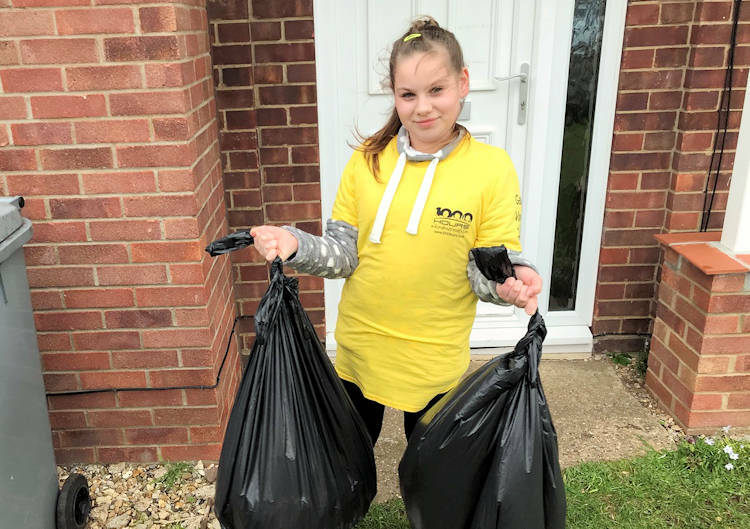 Dad, and Gateway Vineyard church pastor, Craig, said: “Emily wanted to do a litter pick in the local area, so she walked around the local footpath and the edge of the local park. “She said she wanted to try and prevent more plastic from going into the sea and it wasn’t nice for children to have to play when there is so much rubbish about. She collected two bin bags of packets, plastic, glass and bulging dog poo bags. “Lots of people smiled as she collected the rubbish, one couple stopped to thank her and one other person stopped to ask why and asked about 1000 hours,” said Craig. Emily also went out washing road and council signs to help make the town even smarter, all part of Gateway Vineyard Norwich’s 1000 Hours campaign.